Updated September 2017 to add in new e-bike tours. While Whistler has more than 200 trails throughout its valley, if you are looking to just soak in some views with minimal strain or speed then a sightseeing tour is exactly what the trail doctor ordered. Entry level valley tours stick mainly to the paved Valley Trail and/or some machine-groomed trails around Lost Lake. These are guided rides that focus on the destination as much as the journey and are perfect for new visitors looking for some fresh air and checking out Whistler’s natural beauty such as old growth forests, lakes and views of surrounding alpine peaks. Tours are generally 2-3 hours with a family option available. More details. Guest with fitness or mobility issues have options too. Whistler E Bikes give riders the added propulsion of pedal-assisted electric motor. The harder you pedal, the more assistance the quiet and inconspicuous motor will lend. Whistler E Bikes owner Ash Conrad guides tours up to three hours throughout Whistler Village and the valley. E Bike tour details. You’ve got the XC bike. You’ve got some skills. 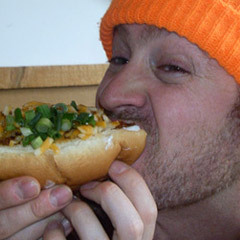 Now all you need is some guidance to start shredding singletrack. With a trained guide leading the way and offering tips on technique and how to approach obstacles, XC tours offer mountain bike newbie a chance to start confidently cornering through the forest and attacking rock gardens! These tours are also the best way to maximize your riding time, linking up the best trails without timely commutes or stopping to work out where you are. Tours can suit a range of different skill levels so be sure to let your booking agent know what you are interested in and go get some of that single track! More details. With the rise in e-bikes, it’s great to know that there are off road options for tours as well. 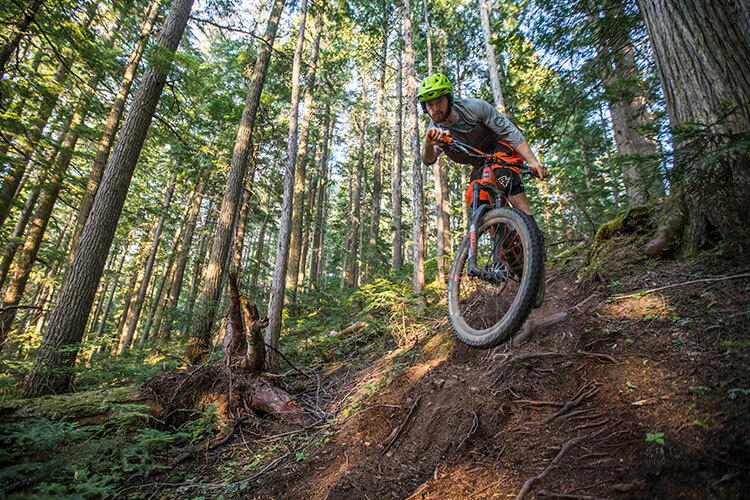 Check out the Canadian Wilderness Adventures e-bike tour in the beautiful Callaghan Valley, called the Great Canadian E-Bike Adventure. Easy pedaling, views and a little axe throwing as well! More Information. If pedaling a mountain bike uphill isn’t your cup of tea, you’re in luck. 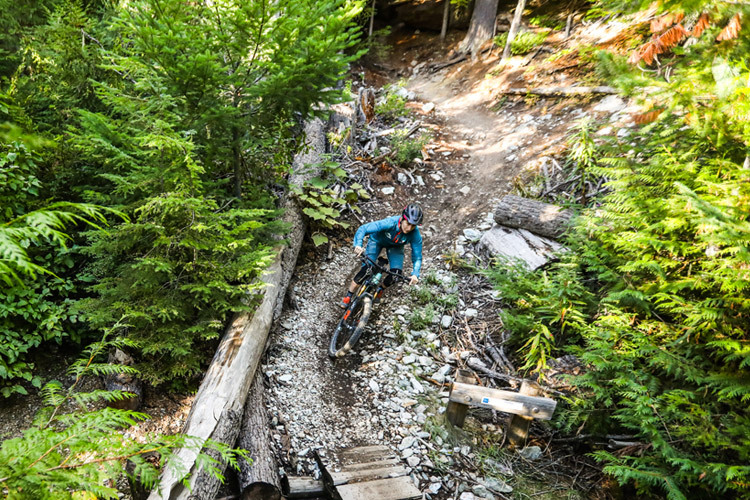 Whistler boasts the largest and most legendary lift-serviced mountain bike park in the world, with trails that range from gentle cruising on Easy Does It to the adrenaline-inducing jumps on A-Line. Don’t let the full-face helmets and neck braces intimidate you though, the Whistler Bike Park welcomes thousands of beginners every season and they’ve focused a lot of their trail building this spring on ensuring there are trails available for every skill level. The key to having fun and not shedding tears? That’s right, hiring a guide. Bike Park 101 is the introductory clinic for downhill never-evers, starting with the fundamentals of braking, cornering and balance position. As ability and confidences increases in the group, so does the level of trails. 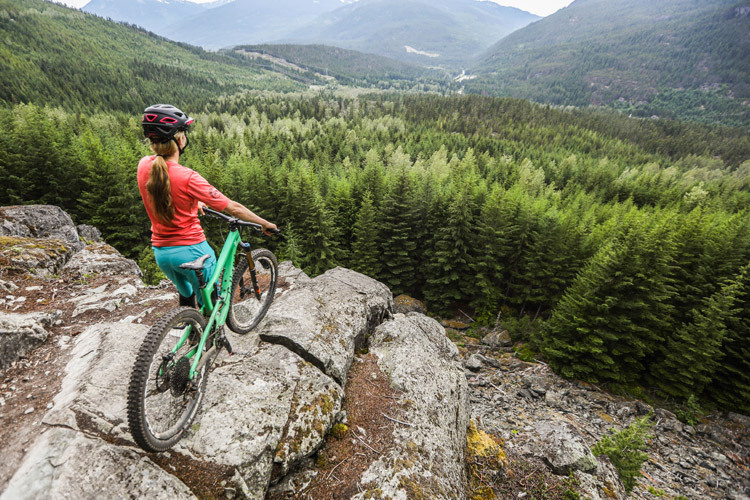 On Mondays and Wednesdays, the Whistler Bike Park also offers special drop-in Women’s Nights for ladies looking to develop their skills without the interference of male counterparts (Men’s nights are on tuesdays). More details. Let’s face it, kids have WAY more fun when their parents aren’t around. The DFX Daily program is a great way to get kids riding and enjoying the social atmosphere, all in a controlled and supervised environment with a qualified instructor. Accommodating all skill levels for ages 6-12, with 5-Day camps available throughout the summer as well, DFX lessons have also launched the careers of some of Whistlers best young local rippers. The Whistler Off-Road Cycling Association (WORCA) also offers Youth Dirt Camps until early September. Get more info on DFX lesson details. Big-time cycling events like RBC Gran Fondo and the Subaru IRONMAN® Canada are fuelling an already rapidly growing road cycling scene in Whistler and with stunning views throughout the Sea to Sky Corridor the riding is definitely beautiful. Half-day road cycling tours will give any level of rider a chance to get the wind in their face and feel the Whistler Experience. More details. 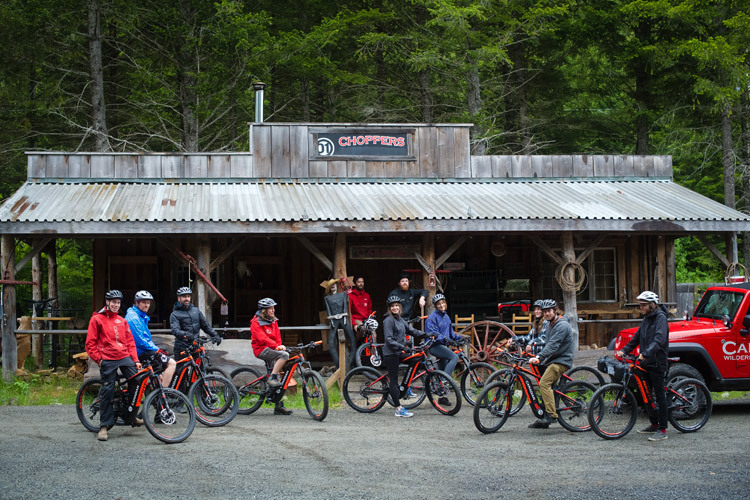 Guided tours are not the only way to ride your bike on the best trails in Whistler but they are a great way to tap into local knowledge and learn about the history and culture that has made this mountain town what it is today. Most guiding companies have rental helmets, pads and other gear available or can refer you to their preferred bike shop. And remember, if you enjoyed your ride, don’t forget to tip your guide!